Blurb: Tales of Christmas in the South, is a collection of three short stories. All three stories reflect different aspects of the holiday season. Enjoy laughter, tears, and the magic of Christmas in one volume . Background: The idea for Miniature Desires was born after I started working at the local Christmas store. I’ve been a Christmas freak since birth and working in a store that was always Christmas, was a dream or nightmare if you’re my husband. One segment of the Christmas industry I had no experience with was the ceramic Christmas village. I was amazed when the houses were shipped, people flooded the store to buy the new pieces. I’d talk to the collectors and it didn’t take much prodding for them to pull out their phones and show photos of these massive displays that take over their house every Christmas season. They had neighborhoods, business districts, cars, and street lights. It was a perfect miniature of a small town. Their version of a perfect Christmas. So what would happen if a cranky old lady had on of these displays? What if it wasn’t just a display? What if there was a little Christmas magic? You’ll have to read the story to find out! In honor of Miniature Desires, I surfed Youtube for a perfect example of a Christmas village. I have no connection with the person who filmed the village and hopefully he/she won’t mind me sharing it with you. The Christmas Gift, is a bittersweet Christian short story of love and loss. Laurel faces the first Christmas without her husband. In her search for decorations she discovers a gift left by her deceased husband. 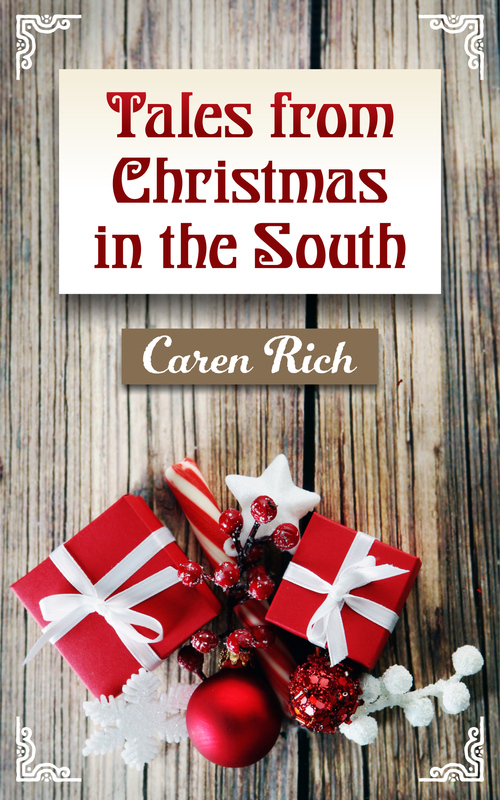 Tales of Christmas in the South is a quick read just in time for the Christmas season. I have a self-published collection of short stories coming out soon. Unlike my first venture into self-publishing, I want to push this one a bit. It contains three short stories, a small quick read for Christmas. Each story has a different theme and tone. The first has a twilight zone feel and is light fantasy (previously unpublished). I’m not sure if that is a genre, but it fits. The second story is a bittersweet Christian story of love and loss. I know not everyone will be comfortable with a Christian view point so this is your warning. The third is the Fruitcake which was released last year. All three are part of the same series and this is the first time they will be together in one volume. I am planning the launch for October 1. That gives me plenty of time to finish the upload and write a few promotion pieces. Cover Reveal- a short post of the new release cover with a blurb and information on links. In-depth Release- a post on the new release with blurb and more information (your choice) on either the writer or one of the short stories. Give an honest review of the book.